After we had introduced the Vodafone R215 4G Mobile Hotspot, Netgear brings another very similar LTE router on the German market. Visually, both devices are very similar, but in terms of the features and the price-performance ratio, there are different. Below you will find all the key data and information. 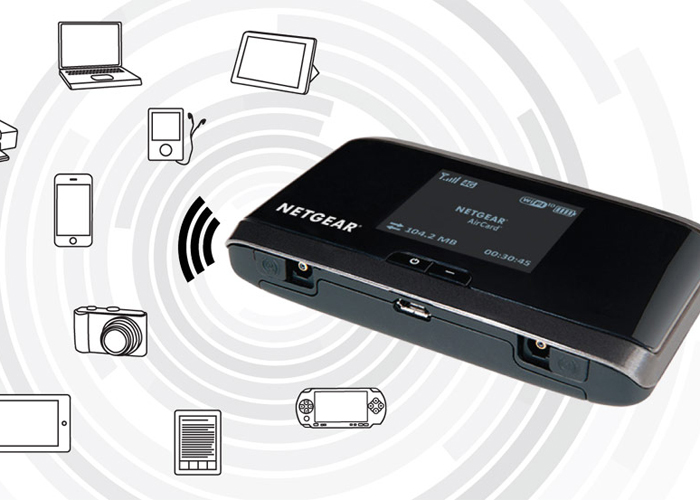 Also, the Netgear AC762S is designed for mobile use. When traveling, you can get all the family members with few handles access to the Internet. Here, only a SIM card with high speed contract must be inserted in the device. Another application would be to use in the mobile office. Employees or customers can optionally access via WLAN grant. The integrated Hotspot allows for up to 10 devices at the same time. The integrated modem supports LTE 4G tariffs of up to 100 Mbits per second. While this is perfectly adequate, but Vodafone R215 (or Huawei E5372) offers even LTE Category 4 (up to 150 Mbps) in direct comparison. AC762S supports the 4G bands on 800/1800/2100 and 2600 MHz. In addition, the AC762S backwards compatible with 3G (HSPA, HSPA+ and DC-HSPA+) and 2G. Unfortunately, WLAN with the latest AC standard is not supported. Instead, the common minimum configuration for 802.11 to b/g and n at 2.4 GHz offered. On the bottom there are two TS-9 ports for connecting an external antenna and a USB 2.0 connector. In the router, MicroSD up to 32 GB of memory can be inserted. The LCD display on the front, provides an overview of all important data for connection such as the reception strength, the wireless standard currently in use, the power consumed in the session volume and the online time. Furthermore, the user can read the battery level and define the basic settings in the menu. Like huawei R215, the installation and commissioning of AC762s router is a breeze. After the SIM card is inserted and the power switch is pressed, it can almost go. A software that is not necessary to install, as is common with most surf sticks. All configurations can be done easily via the browser. As an option, WPS-compatible devices can bring into your own network with a push of a button. Another similar feature for Vodafone R215 is that Netgear offers an app for Android or iOS, where use also read all the key data and settings can be made. 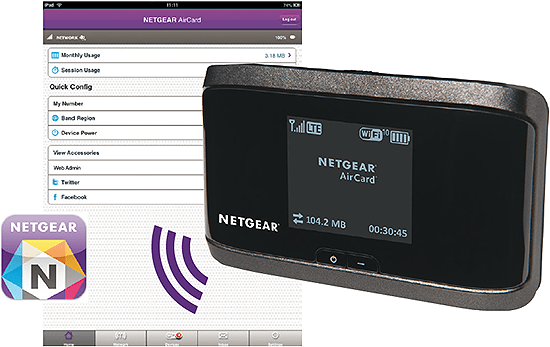 Since Netgear AC762S is a SIM free device, the router works with all European mobile providers. The R215 is in less price for around 30 € currently and offers better performance. To read more about Vodafone R215, you can check here about the review.